Where we live, Spring time means warm weather and sunshine. We look forward the wildflowers that line the roadsides and fill the once-empty meadows. Bluebonnets blanket the rolling hills like the endless ocean, and the rest of the wildflowers sprinkle themselves in between. 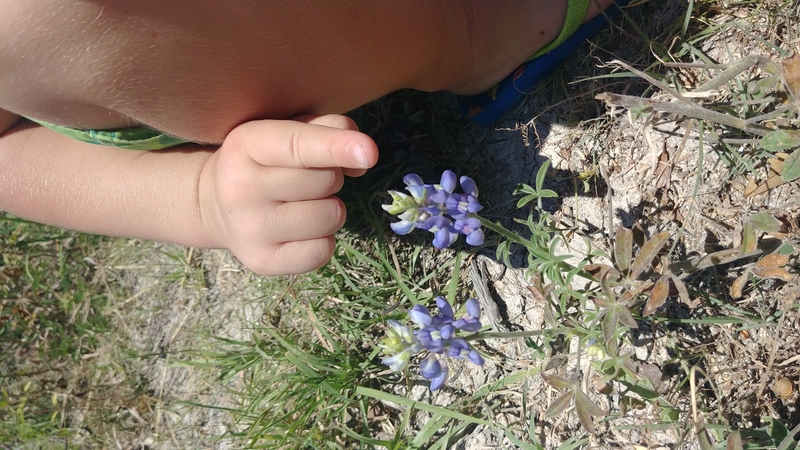 My kids are fascinated by the bluebonnets every single year, so our pick for this month’s wildflower-themed, Nature Book Club was none other than The Legend of the Bluebonnet. This book not only shares a triumphant story of how the bluebonnets came to be, but the art on each page is jaw-dropping. For her activity to go with the book, my daughter aimed to recreate the beautiful pictures that she saw. She painted a gorgeous fingerprint bluebonnet, with a sunset behind it. 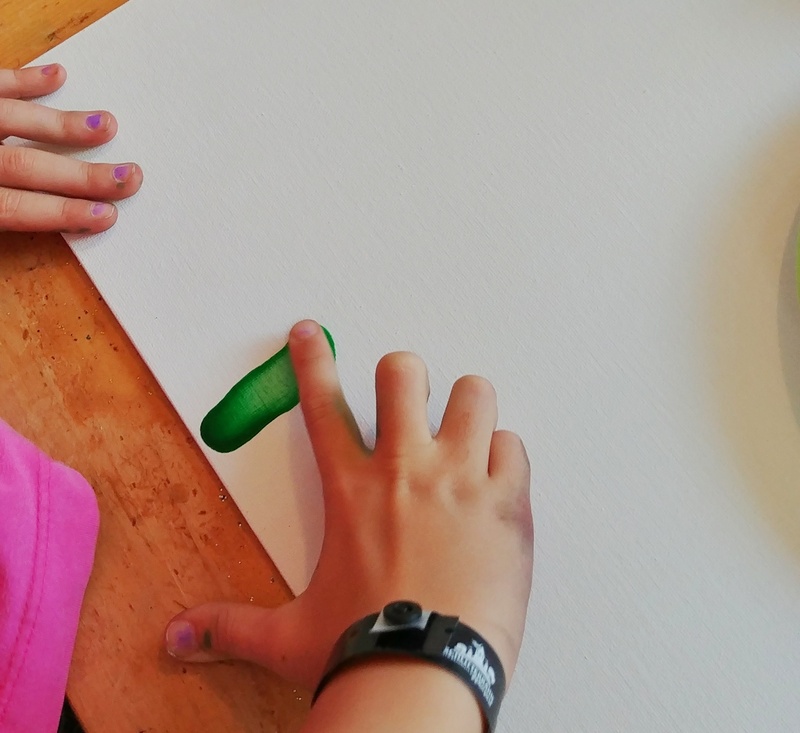 This activity was simple, yet it provided a piece of art for us to cherish forever. This post is part of The Nature Book Club. Make sure you scroll all the way to the bottom to see more books and activities on wildflowers! It was hard to NOT want to create an art piece after reading Legend of the Bluebonnet and seeing the amazing illustrations that swirled with vibrant color. 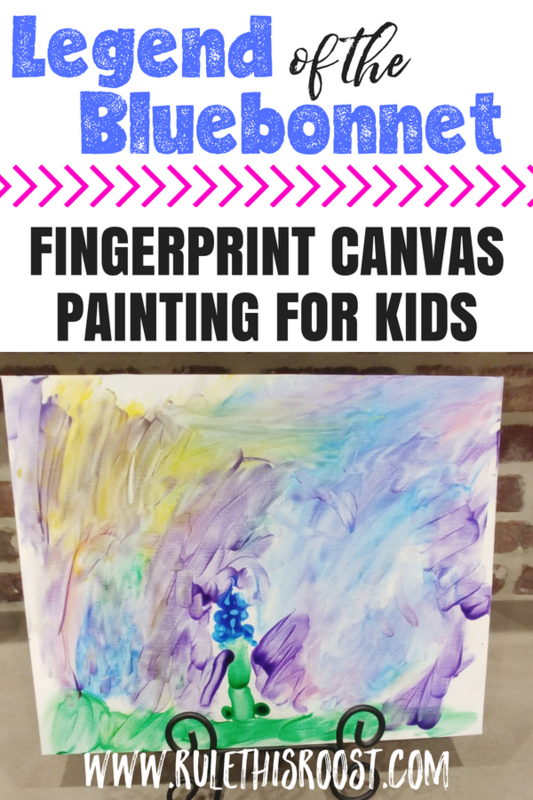 My daughter started her bluebonnet fingerprint canvas as soon as she could. At first, she chose just the basic bluebonnet colors: green, blue and white, but then she decided that she needed to spice up the background. 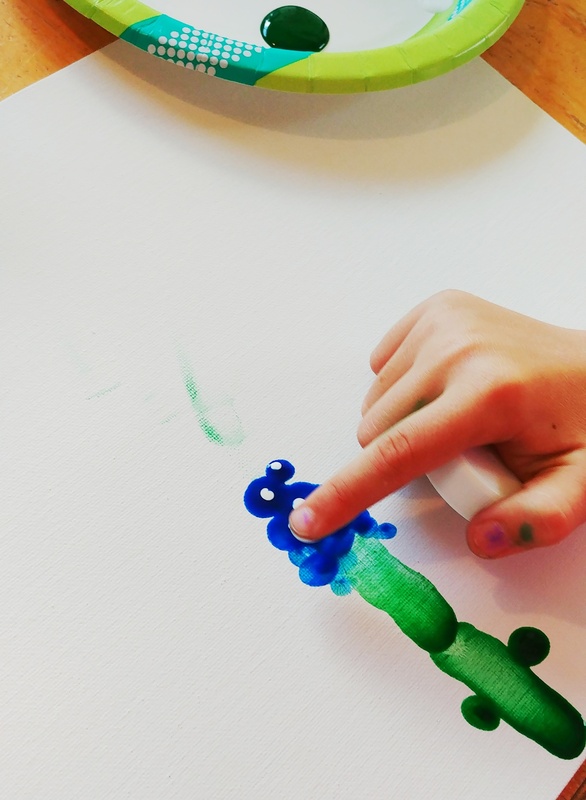 The part that makes this canvas activity special, is that it shows her tiny fingerprints in her bluebonnet. I just love it. I was impressed by the attention to detail with the white parts of the bluebonnet. 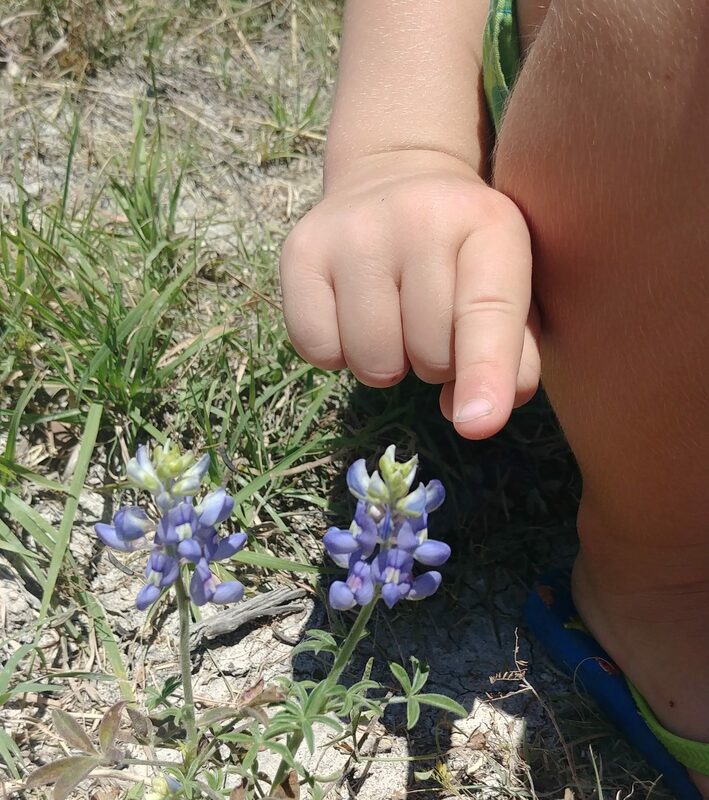 We’ve been on a lot of nature walks to explore these beautiful wildflowers, and it was neat to see my daughter apply her knowledge to her fingerprint canvas. 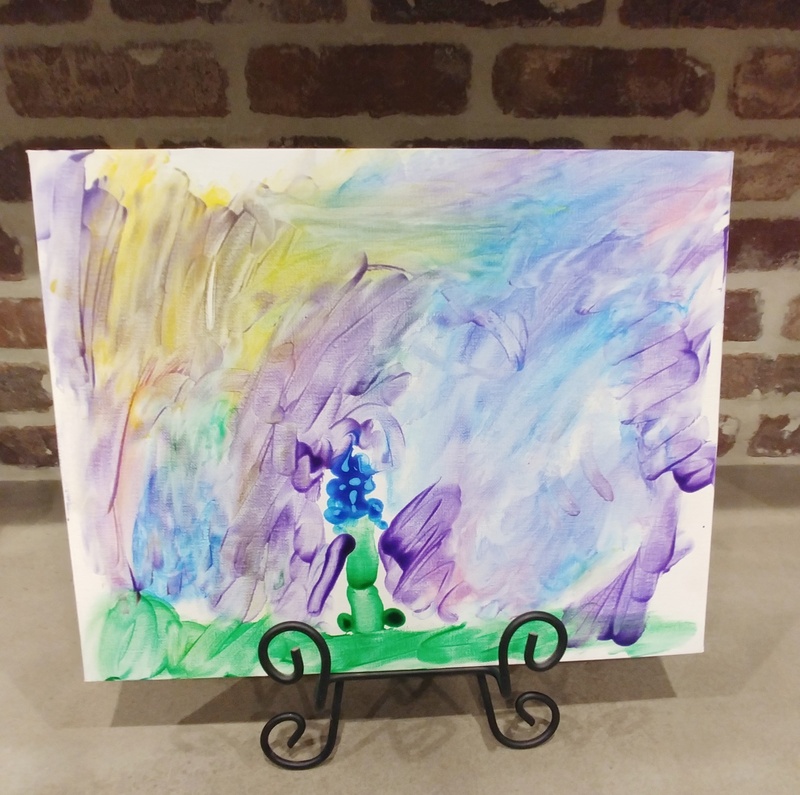 As she added more color, her canvas really came to life and became more of a representation of the beautiful art we found in The Legend of the Bluebonnet. The Legend of the Bluebonnet is a book that combines nature with culture and art. If you haven’t read this book with your kids, it is a must! 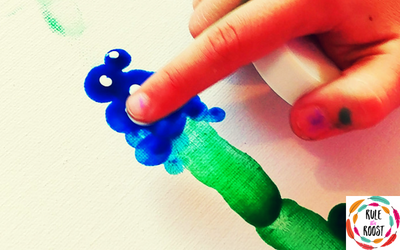 And grab a canvas and some paint to recreate the amazing art that you will find inside. It will end up being your favorite creation! Welcome to The Nature Book Club Monthly Link Up No 5. The Nature Book Club is brought to you by these 10 nature-loving bloggers which are your co-hosts! Are you following them? If you don’t want to miss anything, be sure to follow each one. 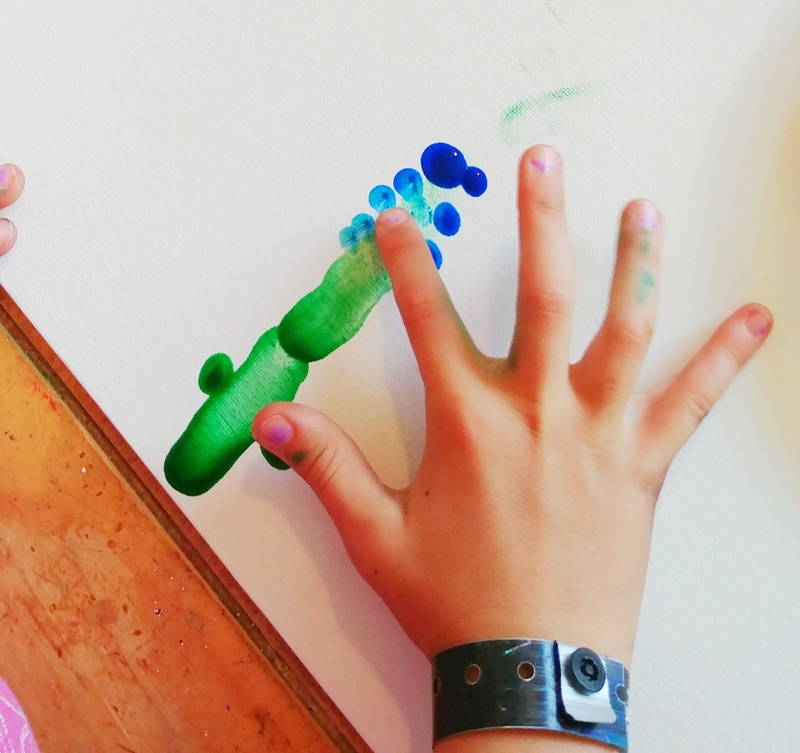 My boys would love to finger paint like this! 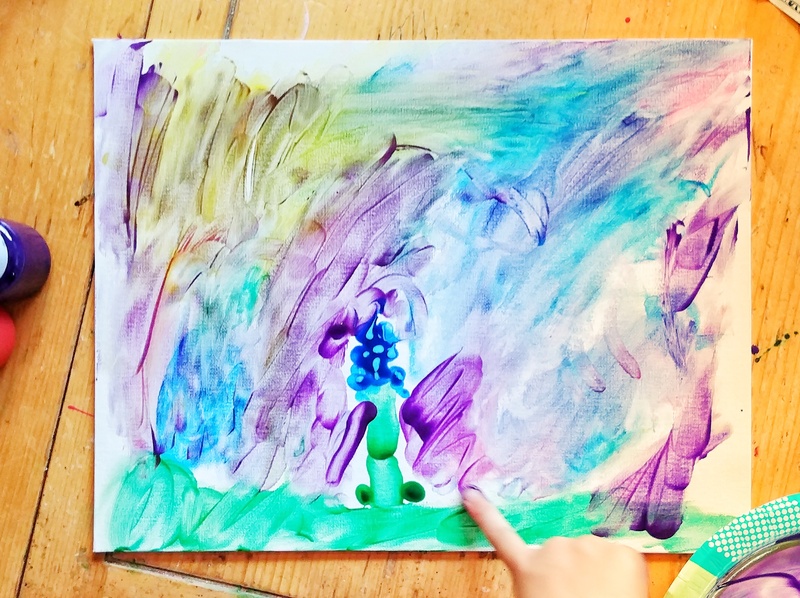 I will be adding finger paints to our Summer craft supply shopping list!